My fandom reaches all the way back to 1992 and the first MK arcade game. My friends and I had all played Street Fighter 1 and II, but for whatever reason my local arcade scene really gravitated towards MK. 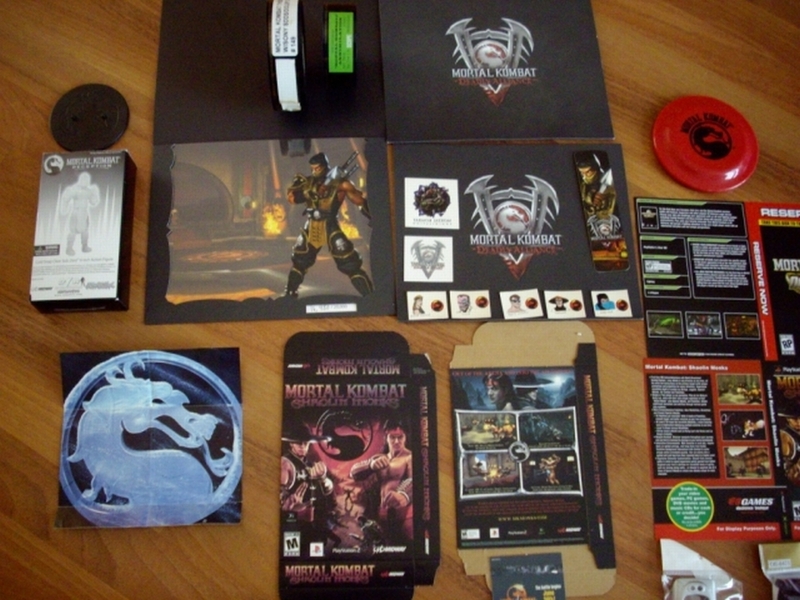 I started collecting MK merchandise day one. I mail ordered the MK1 and MKII collectors comics and CD soundtrack from the attract mode from the arcade games. 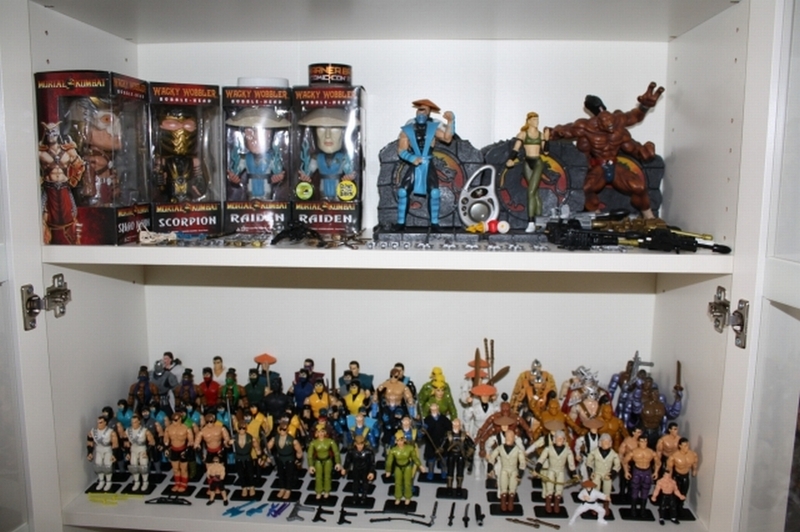 I’ve had many different collections over the years, I’ve collected Masters of the Universe figures and merchandise, trading cards, comic books, but my MK collection is all that I’ve kept over the years. 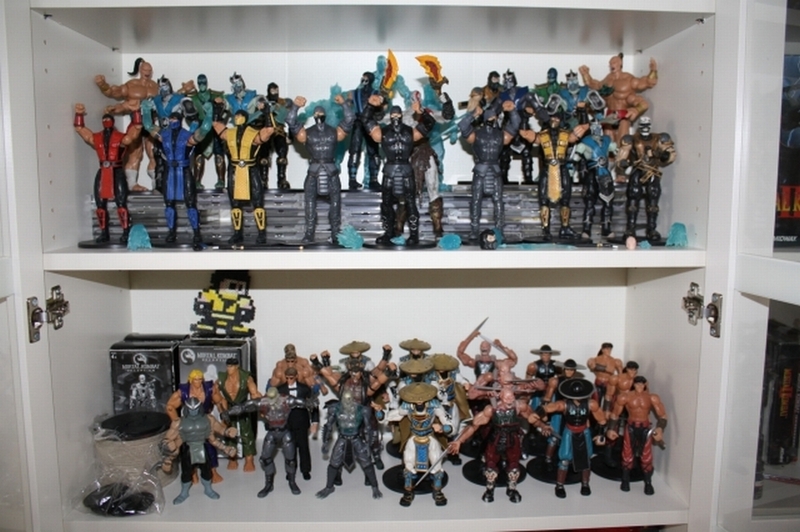 For me the fun of being an MK collector and fan was that back then MK was a cult hit. Back then alot of people didn’t think to collect this stuff and now 20 years have gone by. I was lucky enough to be the right age to purchase and keep all the memorabilia. 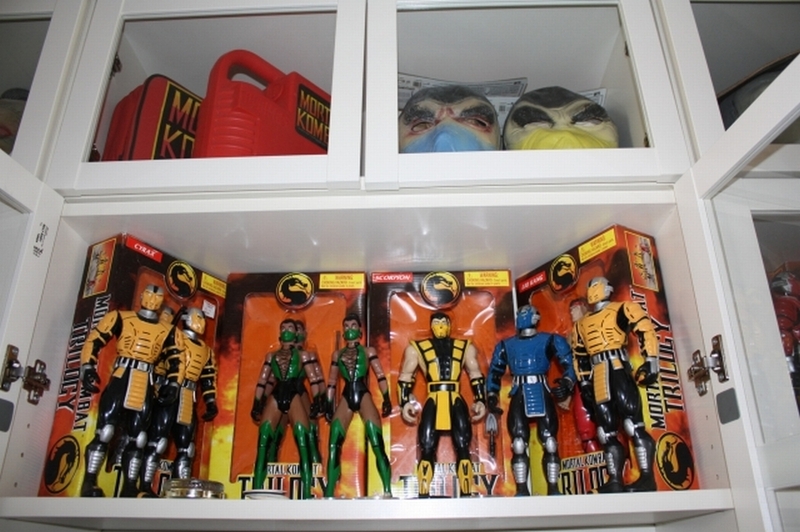 MK is fun to collect because it spans across cards, comics, books, action figures, stickers, clothing, statues, etc. Hands down my favorite item is my dedicated MKII arcade cabinet. I have had it for many years, and the side art is in wonderful shape. I never tire of firing it up and playing it after all this time. I used to have the old Goro vinyl model. But unfortunately it got left behind when I moved to a new house. That was one of my favorite items. One day I will track another one down. To me MK1 is the best game. I know alot of people prefer the gameplay in MKII and UMK3, but it is impossible to beat the original in my humble opinion. Its not the gameplay that i think makes it better, but the entire overall presentation of the characters, stages, music, and plot. I think the best way to answer that is Shang Tsung. Then you could morph into any character you wanted EVERY morning. Face Rip. I’ve been waiting 20 years to rip an opponents face off! 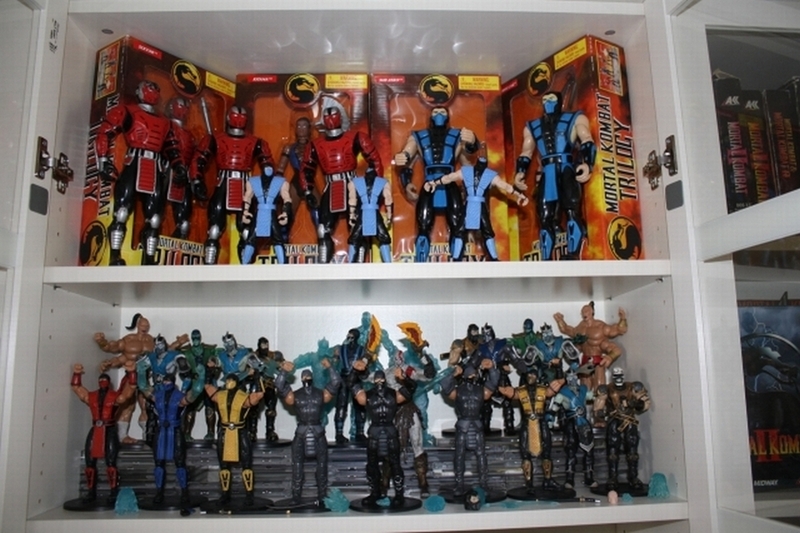 As much as I love my MK collection, its just stuff. I doubt I would trade it all for a date with my dream girl… but i would give it all up for my children if they needed me to.